Gun slings are made from high-strength 550 paracord. They are made with two gunclips, one on each end, to clip onto your gun. 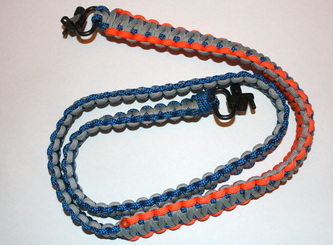 All gun slings can be custom ordered in any color combiantion that you choose. They can be made with one or two different colors. Gun slings are $35.00, shipping not included.